Item #MS-435: .50" + Vivatine Crystals; deep shades of Blue and Blue/Green; Found in the Tomokoni Mine near Canutillos, Bolivia; 1.5-2 hardness. 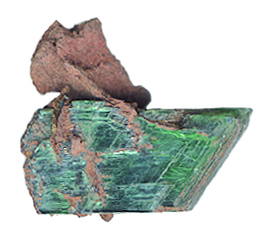 Item #MS-876: Vivianite specimen from Tomokoni Mine near Canutillos, Bolivia. Sizes vary from approximately .5" to 2.5".